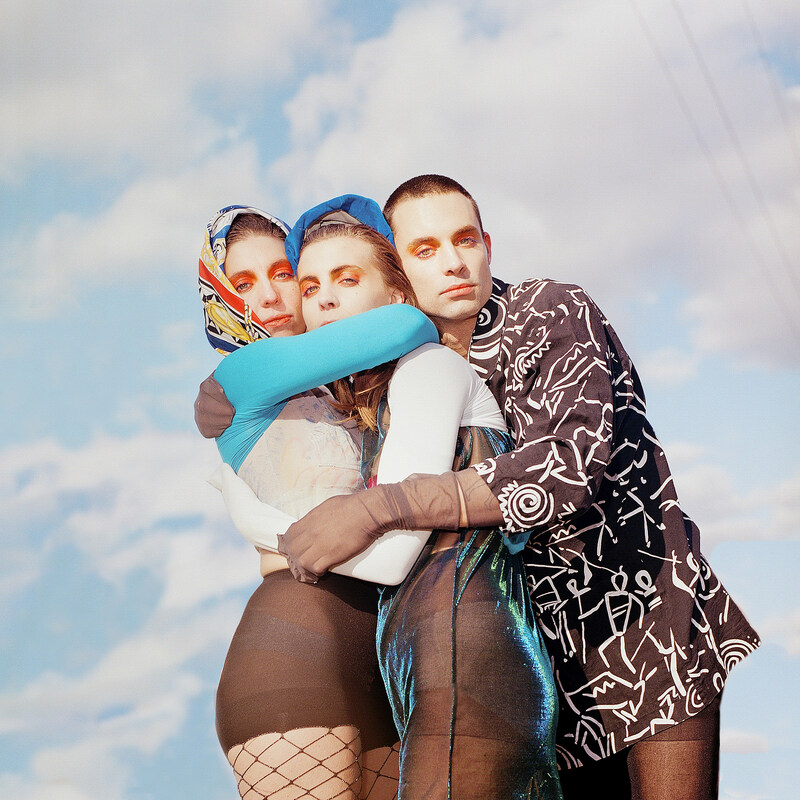 We wanted to expand further on the idea of a post-identity hybrid-corporeality sense of oneness which we allude to in the album cover photo, and is mutually experienced by many in the nocturnal hours on a dance floor. Riffing on the source of much of our creative power: our siblinghood, and seeing how we could push that creative power further, we envisioned a state where we could go beyond the liminalities imposed by our bodies, genders, and senses of self. This state, or future form, (actually it’s quite archaic) is a merging of our beings into an all-powerful super body. It’s bare and vulnerable, with its mechanisms exposed for all to see, yet is perfectly suited for the world today; in its multi-faceted communal nature, it’s strong enough to take on all forces. Let Yourself Be Seen! It’s a pretty amazing video for a pretty great song and it premieres in this post. Watch that, and check out album art and tracklist, below. 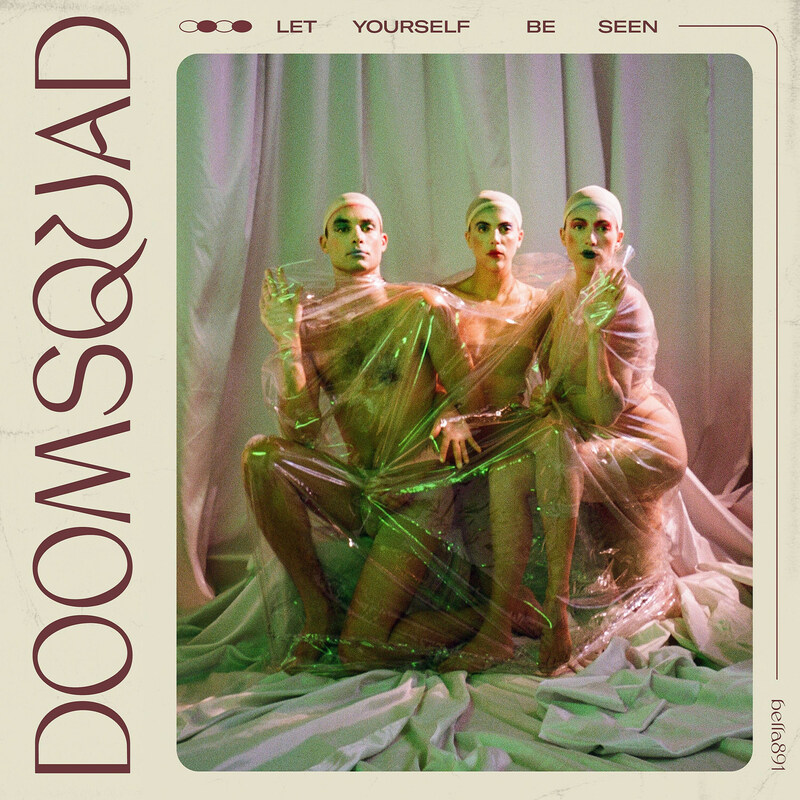 DOOMSQUAD will be in Austin next month for SXSW, playing the Bella Union showcase on 3/14 and other shows, and they’ll also play a Bella Union show in Denton, TX on March 17. They’ve also got UK and European shows in July — all dates are listed below.